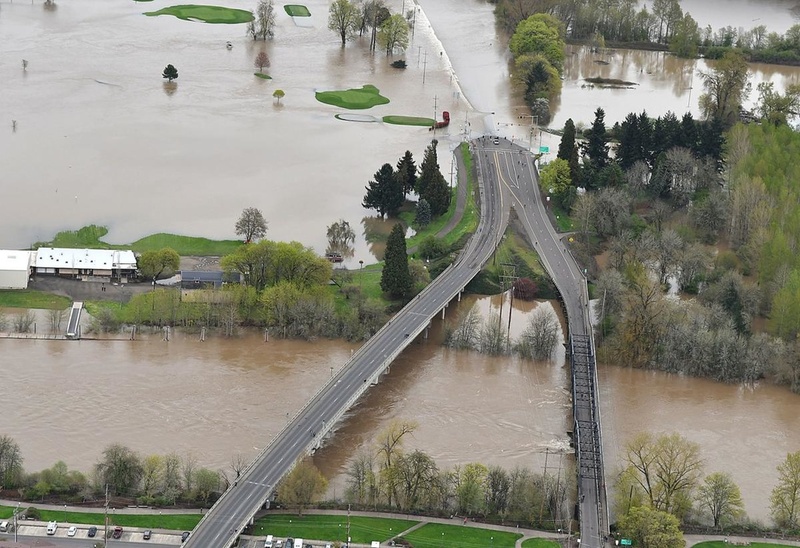 Biggest crest on the Willamette in Corvallis since 1996, and we are cut off from the east. Driven largely by the flows coming out of the McKenzie and middle/coast forks of the Willamette from same rains over the past week that shut down 58. I've seen more flooding around town in local creeks and the Marys from big coast range rainstorms, but this is impressive. That was quite an event. I live about a quarter mile from the Coast Fork Willamette (near Pleasant Hill) and we were under voluntary evacuation orders. I stayed but my car was packed, ready to bug out. Sooo glad I didn’t have to but anyway it was scary coming so close. First snowmaggedon, then flood. What’s nest? Zillions of hours of trailwork, that’s what. Pleasant Hill is neither pleasant, nor a hill. P.S. Mathews Road is actually quite nice. Feels like country but only 12 minutes to downtown Eugene. I live on a pastoral horse ranch, life doesn’t get much better. My avatar photo was taken about a dozen miles from my abode as the crow flies. I remember that in 1996...think it was during midterms and some folks couldn't even get to campus...and damn that makes me feel old. Last edited by BraaapTastic; 1 Week Ago at 03:48 PM. Speaking of Shiggy, what is that dude up to? I haven't seen him for years. Coming from Eugene you go uphill to Ridgeway Rd. And Hilltop Grill is a nice place to stop on the way back from the mountains. Speaking of Shiggy, what is that dude up to? Still riding. Last time I saw him was shortly after the eclipse about a year and a half ago, at Whypass. Maybe for the party at the pile? Hm, never noticed it, but now it's on my radar. I don't get over to Planktown but I'd probably stop here after riding the Hardesty network. Thanks! My money is on a swarm of locusts.